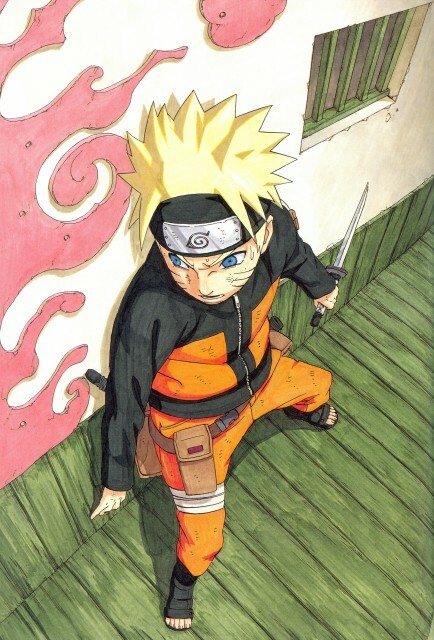 Self scanned from Naruto Illustrations. This is some quite different image for the point of view ... Looks good, and misteryous though. Thanks for sharing. thisone is very cool. thank you for it. NICE scan! Thank you very much for sharing! this picture is super cool! What scene would that be? Thanks for sharing. Naruto going to assassinate someone? Wow, that`s where they got this scan Thanks! hah, naruto jest najlepszy z powa?nymi minami, chocia? wol? jak si? ?mieje i k? Thanks for the share , go naruto! Good Job And keep up the work it really is awesome! wow, he looks serious this time and it's cool.